They have small, bell-like, pink-purple flowers. Each flower comes off a long stem. 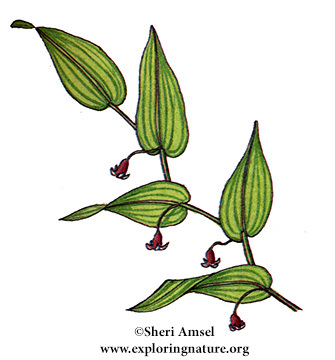 They hang at the base of each leaf, on a long, angular stem. 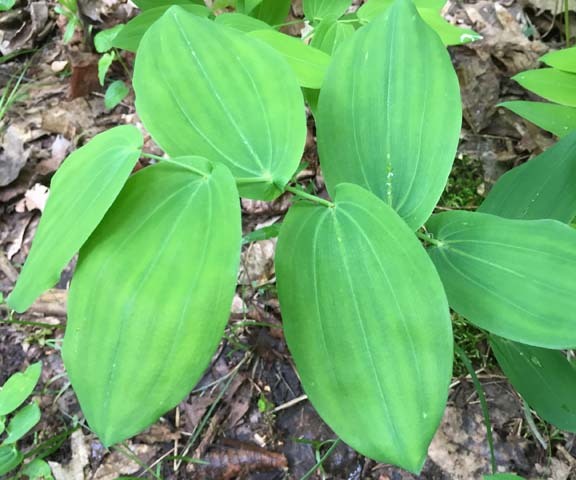 Pointed, ovate leaves wrap around stem at their base. They bloom April through July. Also called, rosybells or rose mandarin.